We have been serving residents of Mays Landing, Somers Point and South Jersey since the early 1980s. We are more than proud to be able to help people by doing what we love to do: quality dentistry that changes people’s lives in some way. 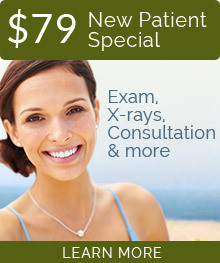 Our highly trained, experienced and dedicated doctors and staff can take care of just about all your dental needs. Drs. Noveck and Nosti are two of the most accomplished and respected cosmetic and reconstructive dentists in the state of New Jersey. Whether you need cleanings for you and your family, or have complex dental needs to take care of, we can help you, and make it a pleasant and comfortable visit. You can see our full list of services here. We provide two locations in Atlantic County: Mays Landing and Somers Point. Both doctors practice in both locations. We surveyed our patients about why they come to our practice and what they like about us. Here is what they had to say! The doctors do great work. They are meticulous, knowledgeable and at the top of their field. Everyone is very friendly. They greet you by name and treat you like family. The doctors are honest and trustworthy. They look out for your best interest and not just for the money. The doctors are very gentle and keep you out of pain. The doctors explain everything and give you all the information you need. They really care about you and take a personal interest in you. The doctors are always available and will fit you right in or see you after hours in case of emergency.